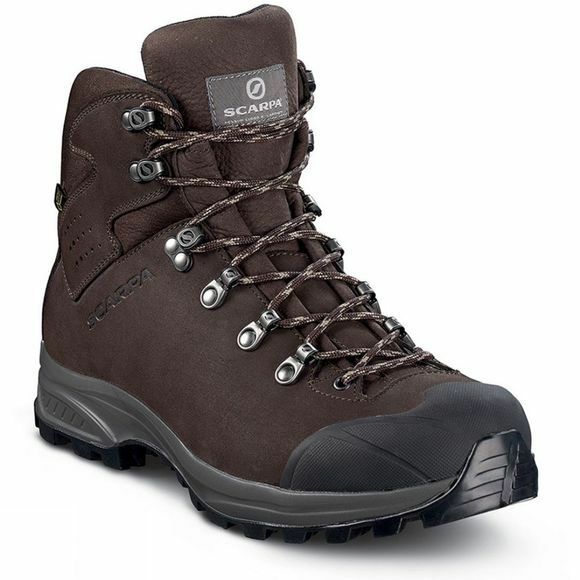 The Men's Kailash Plus GTX Boot from Scarpa is a classic trekking boot that offers excellent comfort and long lasting reliability. The nubuck upper wraps around your foot for excellent comfort and a rubber toe cap protects against the inevitable scuffs and scrapes along the way. The Goretex lining offers incredible weather protection and is breathable to help maintain a comfortable environment on the inside of the boot while the Vibram outsole offers durable and sturdy grip on a huge range of terrains.